When members of the Elders Action Network want to meet, they don’t immediately begin booking flights, hotel rooms, and meeting sites. They often turn to Zoom, one of several videoconferencing tools that are increasingly becoming low-cost (or no-cost) go-to places for meetings that can combine onsite and online interactions. The Network, primarily comprised of older activists living throughout the United States and actively engaged with each other locally, regionally, nationally, and through international travel and online interactions, includes educators, nonprofit administrators, environmentalists, writers, and others actively working together to change the world. Among the nearly three dozen representatives listed on the organization’s website and promoting positive solutions to societal and environmental challenges are Michael Abkin, National Peace Academy board chairman and treasurer; Lynne Iser, founding executive director for the Spiritual Eldering Institute, founder of Elder-Activists-org, a symposium facilitator for the Pachamama Alliance, and a participant in the making of the film Praying with Lior, which explores the story of how a member of her family (her stepson) with Downs Syndrome interacts in his community of faith as he prepares for his bar mitzvah; and Paul Severance, administrative director for Sage-ing® International, is a member of Al Gore’s Climate Reality Leadership Corps. Their live and archived Zoom sessions provide a dynamic example of how you can easily use what you already have—a desktop or laptop computer, or a mobile phone or tablet—to incorporate videoconferencing into your work to consistently develop communities committed to fostering positive actions regardless of where you live. Zoom—with free and low-cost versions—offers them a dynamic social media tool that creates an onsite space for workshops, book discussion groups, webinars, and monthly community conversations among members of the organization’s “Elder Activists for Social Justice” and “Elders Climate Action” groups. In the live sessions, participants can see any colleague using a webcam and can hear any colleague enabling the audio capabilities of his or her computer or mobile device. Zoom, like many other video-conferencing tools, offers visual options including a screen filled by the image of the person speaking; a screen that has thumbnail images of all participants using their video feed; sharing of material (including slide decks) from a speaker’s desktop; and a live chat function that allows for backchannel conversations augmenting what is taking place in the main audio feed. Some of the community conversation recordings are archived so the life of those meetings/conversations extends far beyond the live events themselves to engage others who are interested in but unavailable to participate live during the recordings. They become part of the seamlessly interwoven conversations you, too, can be having with members of your own community. In many ways, Zoom offers a great contemporary example of how your onsite and online interactions are increasingly merging if you take time to explore how Zoom, Skype, and other videoconferencing tools can create a sense of presence—telepresence or virtual presence—that creates engaging, global spaces where activists work together to foster social change. When you begin exploring the possibilities of collaborating online through the use of telepresence tools—those ever-evolving platforms including Skype, Zoom, and Shindig that, when used effectively, can make you feel as if you are in the same room with people who can be sitting on the other side of your state, your country, or the world—you discover what so many others before you have realized: our options for communicating with each other regardless of our physical locations are continuing to evolve rapidly in ways that can make our work easier than would otherwise be possible. Exploring the technical side of telepresence tools provides a somewhat cold, efficient understanding of what they can offer you and those you serve. Actually seeing them used or using them yourself to achieve concrete results carries you right where you need to be: understanding that they can create a sense of presence and engagement that further expands the breadth and depth of your community, your levels of engagement, and the size of the community in which you work, live, and play. And remember: play, as always, is a key element of using these tools to their fullest potential; bringing a sense of playfulness to the ways in which you incorporate them into your change-the-world efforts is a surefire way to use them to produce results rather than making them the focus of your work and, as a result, detracting from rather than supporting what you and your colleagues are attempting to accomplish. N.B. — Paul is currently writing Change the World Using Social Media, scheduled for publication by Rowman & Littlefield in 2019. This is the sixteenth in a continuing series of excerpts from and interviews for the manuscript in progress. This is the second part of a two-part interview conducted with Maurice Coleman, Creator/Executive Producer/Host for the long-running T is for Training biweekly podcast, for my book Change the World Using Social Media (Rowman & Littlefield; to be published in 2019). The interview was conducted online using a shared Google Doc, and has been lightly edited. You clearly have strong, positive thoughts about the state of training-teaching-learning-doing in libraries. How does your continual fostering of the community of learning at the heart of T is for Training pay off for you and those you serve in your own library, community, and larger community of learning that extends through the American Library Association, Library Information & Technology Association division, and other parts of your learning environment? Because of the show and conversations related to it, I am better at my job than I would be without it. 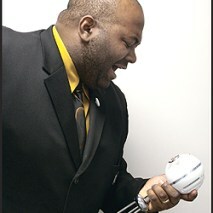 The show is my training, continuing education, and master class. I know more about various aspects of my profession than sometimes I want to remember that I know. Also, I can bounce new ideas or steal great ones from the folks who appear on the show. In fact, just today, someone was looking at my office door where I have the “future literacies” graphic [from Jonathan Nalder’s FutureWe project] affixed and thought it an interesting concept. I would have been able to sort of explain the concept about various skills needed in the future, but just the graphic and conversation with our friend in Australia [Nalder] was insightful and incredible and that would not have happened without the T is for Training network in general and Paul Signorelli in particular. What a wonderful expression of the global nature of the community you’ve fostered through T is for Training—and how the collaborative nature of that community connects a project like Jonathan’s with what you are doing here in the United States. Let’s shift gears and go under the hood a bit for the benefit of those who don’t know how to start. What led to your decision to use TalkShoe as the platform for the podcast? Yes, please; was just going to ask about your current back-up for the archives, but already see the answer. On a related topic (in terms of setting up): what would you recommend in terms of equipment and setting for the recordings of a podcast? I record live episodes via a phone connection, so if you can, use a headset. It is way more comfortable than holding a phone up to your head for an hour. That goes even for a non-cell call. Try to find someplace with few disturbances to set up to start the show. If you use TalkShoe or some other similar service, you may or may not have an open chat to monitor, and will need to have a computer set up to do so. If you are recording the podcast, then editing the podcast, then putting it somewhere for folks to find, you can do it for not-too-much money. Even basic smart phones can record and create a sound file you can upload somewhere for someone to find it. When I do that method of recording for future use, I use a computer with Audacity to capture and edit the sound recording, and use a microphone, by the Blue corporation, called a Snowball. You can also use the Blue Yeti. They are both good microphones for around 100 or so dollars and plug directly into your computer to create your recording. I know other podcasters use Apple-based products to record and edit their podcasts. I encourage you out there to ask your favorite podcaster, “Hey, what do you use to record your show?” and they can tell you their set-up. Any other advice for anyone considering the use of podcasting to help foster positive social change? Be honest, real. Start small and start with what you have—most importantly, your good friends and colleagues. Don’t be afraid to ask for help and hang on for the ride. N.B. — Paul is currently writing Change the World Using Social Media, scheduled for publication by Rowman & Littlefield in 2019. This is the seventeenth in a continuing series of excerpts from and interviews for the manuscript in progress. This is the first part of a two-part interview conducted with Maurice Coleman, Creator/Executive Producer/Host for the long-running T is for Training biweekly podcast, for my book Change the World Using Social Media (Rowman & Littlefield; to be published in 2019). The interview was conducted online using a shared Google Doc, and has been lightly edited. What would you suggest to anyone who is just beginning to look at podcasting as a way of helping foster positive social change? The usual. Be yourself. Be honest. And though it may sound trite, be real. You may have to do some self-promotion in order to reach a larger audience. Also, don’t be surprised if your work reaches further than you can imagine. What initially motivated you to move into podcasting? 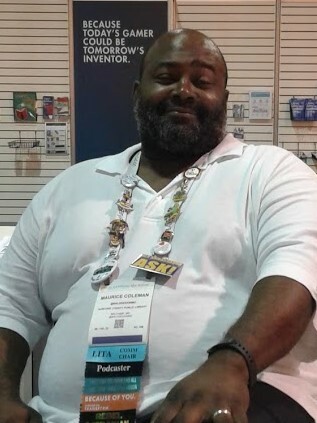 I wanted to replicate the vibe and comradery I felt at conferences where I was surrounded with brilliant members of my “tribe” of trainers, computer folks and other gear/nerd/cool folk heads. I wanted that all of the time—not just a couple of times of the year if I was lucky, so, I took from a friend’s podcast and said, “Why not me?” That was 2008, and we have been going strong ever since. When I went back to listen to the earliest episodes, I left with the feeling that everyone was just sort of wondering how to proceed and whether it would actually work. How long did it take for things to click for you and those you reach through T is for Training? I think it was the Christmas/year-end episode when Guest Host Emeritus Stephanie Zimmerman sang the T is for Training song. That is the “well, damn” moment. Also, people kept coming back to the show. Then someone nominated me for a Library Journal “Mover and Shaker” award in 2010, and that was additional validation that I knew what the heck I was doing—though I didn’t really need the validation, because I did the show for my personal benefit and anything else was gravy. Awesome gravy, but gravy still. I was also lucky to have the support of my library—and, specifically, my boss and director at the time—to do this during work hours. We believe in professional development, and my podcast continues to be a great source of my professional development. When we were together recently, you said “People don’t start out wanting to change the world. They usually start out wanting to change this…this one situation.” Is there an identifiable moment when you went from doing the show for your personal benefit to doing it because you realized it was having a positive change on the face of training-teaching-learning-doing in the industry you serve? Maybe personal benefit is the wrong phrasing, but it is close enough. I always feel a responsibility for keeping this ship going, and it was always both personal benefit and for the benefit of others. When I did the first show, I asked them by email if this was worth their time. They all said yes and also came back, so, from the beginning, I knew that others wanted someplace where they could be amongst colleagues on a regular basis who shared their struggles and triumphs and knowledge around training and learning. Back then, trainers in libraries were this either weirdly-placed position in either HR [Human Resources] or IT [Information Technology], or it was someone’s second job in the system. And you were usually the only one. So, if you wanted to bounce ideas off of someone, you had to reach out outside of your system to find someone who knew your specific job stuff. T is for Training provided and still provides that forum—I hope. Honestly, every week, I am surprised folks come back. As one of your “usual suspects,” I see T is for Training in many ways: a podcast, a forum, a community of learners/community of learning, a virtual water cooler, a lab where ideas take shape and spread. Can you think of an example of a situation where something that happened on the podcast transformed, in a positive way, those involved in the recording to someone who listened to an archived recording? Good lord. Maybe I think of the discussion we had yeaaaaars ago about libraries as more than book archives. We talked about the various places and the library as fourth place [libraries as social learning centers]. Did the Computers in Libraries conference presentation about it. And, about the same time, that became the prevalent library design and management thought—to provide those services thinking of the library as a community center providing rich life experience outside of traditional book-/author- based stuff. While I am sure others can think of other things, that is what sticks out in my mind. I am somewhat oblivious to that larger ripple effect, and always hope the podcast did, can, and will help folks make their situation—no matter how they define situation—better for them, their family, their library, and their community. As you know, I’ve been exploring and been fascinated for years by the idea that our way of carrying on conversations has changed out from under us as a result of how conversations extend across great periods of time and across multiple platforms. An example: we talk about something on T is for Training (e.g., libraries as a newly-defined fourth place), then continue that on Twitter or Facebook, months later face to face, and months or years later in a typed-chat conversation like this. How does that affect the work activists attempt to do by incorporating social media tools into their overall social-media toolkit? Use anything and everything you have the energy and time to use. Always remember that the conversation is ongoing even if you are not directly participating in what it is now. Also, do that interview, share that story, wherever and whenever you can. Always stick to your talking points if you are doing an interview. Always pull the question back to why you are there or reject the premise of the question itself and bring it back to your needs. Use [social] media as your tool to get your message out to folks, not be used as a fad or a media sock-puppet. Also, you don’t have to do it all yourself. You have friends and colleagues and acquaintances. Ask them to help. A message said many times, from many sources, is usually heard. If the thought of reaching your current or prospective community of activists and other collaborators via YouTube or podcasts feels daunting, start simply, openly, and honestly—with something you know—as Phillip “Brail” Watson does. Watson, on his Facebook “Our Story” page, describes himself as “a classically trained vocalist, cellist, songwriter, rapper, clinician, producer and Berklee College of Music graduate” who wants to “change the world through music.” His extensive, well-developed, engaging presence on YouTube, Facebook, Twitter, and other social media platforms fully integrates his commitment to music, spirituality, and social change in ways that make it seem like the easiest thing in the world to do. And it can be for you, too, if you pursue it as diligently and purposefully as he does. If you spend time with Watson online by exploring his use of social media, you begin to see and appreciative the possibilities available through the effective use of a platform like YouTube. His stunningly moving TEDxTopeka talk “Giving Back” on YouTube begins with a brief, beautiful, sung prayer—obviously an element of his work that flows from the core of all he is. He then quickly pulls you in by admitting “I’m going to do this all wrong”—an admission that challenges and begs you to stay with him to see where he is going in the 18 minutes he has under the standard TED (Technology, Entertainment, Design) talk format. He asks you—just as he asks the live audience he is addressing in that recorded talk—to walk with him; to see what he sees, from his perspective; and to “feel the places” where he has been—in the hope that you, as he has, will come to understand the value of giving something back to the community you cherish. It’s an invitation to be part of something positive, something greater than you already are or might ever be—and it is an effective call to action because Watson draws upon his highly-developed use of language, poetry, musicianship, and inspirational skills to integrate all of those elements into the wonderfully moving video that documents his TEDxTopeka talk in 2015. This is about far more than making and placing content on a social media site; it is about using everything you have developed and will continue to develop to effectively reach audiences and inspire positive action. It is about developing a body of work that weaves through everything else you do. It is about integrating that work in unexpectedly creative ways with other work you do and other opportunities you pursue. It is about transforming the (sometimes) simple act of recording and sharing your thoughts on YouTube and through podcasts into an act of inviting engagement with people you may never actually meet—and recognizing that you don’t have to physically meet someone to very much be drawn into their causes and being inspired to action by them, or inspiring them and drawing them into yours. Although you want to have a specific audience in mind as you prepare a YouTube video or podcast, you will have no idea initially of how broad and diverse an audience you will eventually reach and inspire. A presentation given in one venue, e.g., the TEDxTopeka talk, that is recorded, posted, and shared online, gains an extended life far beyond anything you could have provided if you had simply given that presentation and then moved on to something else. The efforts you make to reach your audience produce only a small part of what is accomplished when others see and share your work; those efforts offer the same expansion you see when others retweet your tweets or share your Facebook posts in ways that produce rhizomatic expansion of what you thought might be little more than a moment lived and then forgotten. My initial unplanned step toward finding Watson online was taken when my Topeka-based colleague David Lee King and I were doing another in our series of interviews for Change the World Using Social Media, my book-in-progress for Rowman & Littlefield. I had asked David for examples he had seen of how YouTube was part of the process of promoting positive change within a community. He did not mention Watson; instead, he responded with a description of a magnificent activist’s-dream initiative, Go Topeka’s Momentum 2022, which is described on the project’s website as “a comprehensive, actionable, and consensus-based plan…to make Topeka-Shawnee County a better place to live, work, play, and do business.” King pointed me toward a two-minute video that very much impressed me: “Topeka & Shawnee County Have Momentum,” posted on YouTube by the citizen-activists in the Greater Topeka Partnership. It seemed to have everything that a video call-to-action should have: high production values, a clear message (that Topeka has lots to offer and can become even better if community partners work together to build upon its existing strengths to chip away at its weaknesses), and an obvious call to action—until I heard from Jill Hurst-Wahl during separate conversations for part of the book. There is no gentle way to express what Jill noted after viewing the video I had so enthusiastically shared: it didn’t have many images of people, but the images included in the video did little to hint that nearly 25 percent of Topeka’s population is African-American or Hispanic. That’s when Jill found and offered a different video version of the topic: Watson’s “Topeka Proud” video, posted on Vimeo. Same city, much different viewpoint—and one that aligns with parts of the Momentum 2022 initiative calling for efforts to foster and promote greater diversity and inclusivity in Topeka. And seeing what Watson had produced led me to seek out much more of what he was doing—on YouTube, Facebook, Twitter, and elsewhere. This provides another opportunity for a reminder worth repeating: you can certainly choose one specific social media platform that best suits your goals as someone attempting to foster positive change in your community, but creating an integrated presence over multiple platforms tremendously increases the chances that you will reach the largest possible group of community partners to help you reach those goals. As you move into a more complete exploration of YouTube and podcasts as tools you can use in your efforts, it’s worth noting that there is at least one more encouraging piece to the Go Topeka/Topeka Proud story: a second video, posted on YouTube by the Greater Topeka Partnership eight months after the first one appeared, pushes the story forward with a much broader cast of characters featured: the ethnic diversity that is obvious through the inclusion of Enimini Ekong (Brown v. Board of Education National Historical Site), Leo Espinoza (College and Career Advocate, Topeka USD 501 Schools), Marcus Clark (senior pastor, Love Fellowship Church, East Topeka), Angel Zimmerman (Zimmerman & Zimmerman, PA), and others. This is clearly a community that is effectively and creatively working to promote the most positive results it can imagine. N.B. — Paul is currently writing Change the World Using Social Media, scheduled for publication by Rowman & Littlefield in 2019. This is the fifteenth in a continuing series of excerpts from and interviews for the manuscript in progress. Alper stands out as a wonderful example of someone whose blogging and other social media endeavors are part of an overall toolkit that helps her reach her audience in world-changing ways. 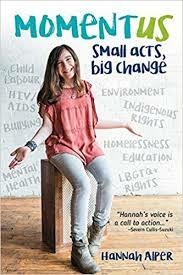 Building upon the success of her blog, she has published a book (Momentus: Small Acts, Big Change) comprised of interviews with other activists. She gains further attention for the causes she promotes by doing interviews for print publications and television stations. She travels as a presenter as well as someone who documents the changes she is promoting. Through all of these efforts, she conducts herself in ways that channel the attention she is receiving into attention and information about the causes she supports. There are obvious elements to notice in her blog. She consistently displays a simple, effective use of language. She projects a sincere approach to the topics she tackles as her interests continue to evolve. She includes engaging photographs that help establish a persona that flows through all her work. 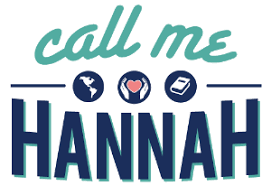 Most importantly, she provides consistent calls to action so readers know they are being invited to do more than consume what she writes, and she responds to the comments they post; they are her partners in trying to create positive change in a world about which they care deeply. Tracing the ever-evolving arc of her work is easy, given the record of those interests she continues to explore through her blog. One of her earliest pieces, “Be More Eco-Friendly for $10 and 10 Minutes,” documents the efforts she made with her mother to create recycling bins in their home to reduce the amount of garbage they were adding to local landfills, and even this early post—written when she was nine—reached out to readers with the hope that “you might try this too” and an invitation to those readers to share their own ideas about recycling. Within a few years, she was advocating for positive responses to bullying and actively involved in other WE Movement initiatives that are community-based, national, and global in their reach while also continuing to advocate for small actions that contribute to large-scale environmental change through recycling, composting, and even engaging in impromptu efforts to pick up trash from her local schoolyard. That September 20, 2015 post on her blog continued to feature encouragement to her readers—“I always say little things add up to make a big difference”—along with simple, concrete actions her readers could take if they, too, wanted to be part of the effort to make communities cleaner. Her most recent posts have covered themes as varied as the March for Our Lives activities in March 2018, the continuing decline of global bee populations, mental health issues (particularly in terms of how they affect people within her own peer group), and using social media in advocacy. This, then, is part of the power of blogging to change the world. It provides you with a chance to compose your thoughts before sharing them with members and prospective members of your community of support. It provides for plenty of opportunities for engagement if you are willing to court and respond to comments from members of your community. It allows you to build a body of work to which you can return as your own interests develop. It can be a key pathway to telling your story. After all, as so many writers have said, there are times when if you want to read something, you have to write it yourself—and then hope that it leads to the small-, medium-, and large-scale changes you are attempting to foster. N.B. — Paul is currently writing Change the World Using Social Media, scheduled for publication by Rowman & Littlefield in 2019. This is the fourteenth in a continuing series of excerpts from and interviews for the manuscript in progress. When we look at what has happened in the five months that have passed since the shooting of students at Marjory Stoneman Douglas High School took place in Parkland, Florida on Valentine’s Day earlier this year, we’re left with a clear-cut vision of the difference a few people can make in promoting positive change out of the worst of circumstances. 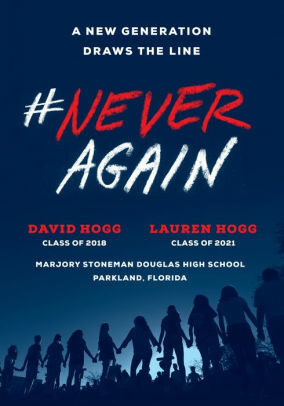 If the situation had played out differently, David Hogg and his sister Lauren would not have survived the shooting, and we would not have the short, gripping first-hand account of the shooting and its aftermath they provide though #Never Again: A New Generation Draws the Line, recently published by Random House. The basic details have been abundantly covered: 17 students and others on campus that day were killed by a former student. An Instagram video taken and posted by a student and numerous text messages provided some of the earliest, most graphic images and descriptions of what was taking place. The survivors immediately began asking what they could do to help stop the cycle of violence involving shootings on school campuses, followed by meaningless expressions of sorrow and prayer, followed by inaction, and then followed by more shootings. David Hogg, Emma Gonzalez, and other Marjory Stoneman Douglas (MSD) students began meeting within days to create a plan of action, which led to their formation of Never Again MSD (also known as #NeverAgain and #EnoughIsEnough); spawned the global March for Our Lives movement that helped organize events in more than 850 cities worldwide the following month; and has also spawned the Vote for Our Lives movement currently mobilizing young (prospective) voters across the United States in an effort to respond positively to a situation that they—and many of us—feel is completely intolerable and could more effectively be addressed than it has up to this point. The human part of the story comes through loudly and clearly in the book, as this excerpt (written by Lauren) shows: On the night of the day that the Parkland shooting took place, “I basically passed out. I couldn’t physically stay awake. The same thing happened the next night and the next night and on like that for weeks. During the day I’d have to take naps, then I’d pass out at eight or nine every night and wake up in the middle of the night, so I’d start the next day exhausted again. It’s still hard for me to get a normal night’s sleep. So many of the kids at my school are like that. I never thought trauma could take that kind of toll, but it does” (p. 68). The narrative throughout the book responds to that disbelief. David describe how what they learned at home from their father (a retired FBI agent) about remaining as calm as possible under the most trying of circumstances helped carry them through the moments during which the shooting was occurring. David also writes about how his experience gathering and posting news reports through coursework he was completing led him to actually take videos of himself describing what was occurring and sending those for posting before that initial day of horror was over. Both acknowledge the positive impact their instructors and coursework had in preparing them for their transition from learner to activist—a much-needed tribute to what is good in our educational system at a time when so many critics complain bitterly about how ineffectual that system is. And they explicitly acknowledge how that magnificent community of learning pulled together in ways that brought friends together to apply what they had learned so they could attempt to change a world that so clearly is far from the world of their dreams. The #NeverForget chapter at the end of the book provides a resource we would do well to read and reread on a regular basis if we do not want to lose sight of the human tragedy at the heart of this political movement: a list of some of the people who “have been killed in gun violence” since 1999, along with brief, often-poignant descriptions of those who are no longer with us. It’s difficult to imagine being able to read those descriptions without feeling a tremendous sense of loss and a desire to be part of the community attempting to respond positively to those losses with more than expressions of sorrow and prayer. What we’re left with at the end of the final chapter is an inspiring call to action that again circles back to the importance of a well-functioning educational system that prepares our learners/youngest citizens to use all the resources available to them to not surrender to despair: “We learned to love people for what they are instead of hating them for what they’re not. And like the namesake of our high school—Marjory Stoneman Douglas, who changed her world by a full-on engagement with it, every day, as a journalist, a suffragette, and conservationist—we are learning to change the world by presuming that we can” (p. 141). N.B. — Paul is currently writing Change the World Using Social Media, scheduled for publication by Rowman & Littlefield in Winter/Spring 2019. This is the thirteenth in a continuing series of excerpts from and interviews for the manuscript in progress. Ephemeral moments, briefly captured and briefly shared through imagery, are at the heart of Snapchat—a social media platform used by nearly 75 percent of teens in America, a Pew Research Center report released in May 2018 suggests; it is a tool that is designed to playfully combine text captions and imagery through a here today, gone tomorrow approach. What you post there is generally meant to last no longer than 24 hours before disappearing. The tremendously world-changing impact a Snapchat post can have, however, became clear in early 2018, when a teenaged Snapchat user captured the horrendous moments of the mass shooting of students, by a former student, at Marjory Stoneman Douglas High School in Parkland, Florida. This was a snap that did not—and will not—disappear. Copied and reposted online and included in mainstream media coverage of the tragedy, it has taken on a life of its own; was part of a student-driven online social media presence that helped spur the March for Our Lives (#MarchForOurLives) protest movement that has attracted participation from students and adults in more than 800 cities worldwide and its companion initiative, Vote for Our Lives (#VoteForOurLives); and, within one month of the shooting, had produced gun-control legislation in Oregon and Florida unlike any that previously came out of years of fruitless conversations between those in favor of somehow limiting access to guns and those who firmly believe that the Second Amendment to the United States Constitution provides absolute, uncontrolled access to guns. Watching that snap or looking at March for Our Lives images on the Instagram and Flickr photo-sharing sites takes you to the heart of one of the most divisive debates in America today. You don’t just see people affected by an issue seeking some sort of positive resolution: you see the debate itself playing out in sometimes spiteful, vicious comments between those who find themselves on opposite sides of a debate that was producing few concrete results—until that snap went viral, the students became advocates with often very sophisticated approaches to the social (and mainstream) media tools available to them, and those students joined the voices of those insisting that “enough is enough” and that a positive response to the most awful of situations had to come sooner than later. The fact that Snapchat was the initial vehicle for providing painfully jarringly intimate glimpses into another tragedy unfolding was probably something that those creating Snapchat could never have predicted when they created a platform for capturing and briefly disseminating ephemeral moments. “I don’t think [Facebook Co-founder, Chairman, and Chief Executive Officer] Mark Zuckerberg ever dreamed that Facebook would be involved in presidential election scandals and the fake-news cycle. Nor do I think that Snapchat leadership pictured teens snapping violent and traumatic injury in the midst of a horrific crisis,” Samantha Becker, the independent consultant and President of SAB Creative & Consulting, says. “It’s not necessarily something you envision from the get-go, but it makes sense that social networks would be effective vehicles for spreading news, exposing real-life events in progress, etc. But there can definitely be backlash. I’m thinking about the Logan Paul YouTube scandal from a couple months ago, where he showed footage from a suicide. People are rightfully concerned that social media can glamorize the tragic. It’s a very delicate balance and there is a fine line between sharing something that spurs positive action vs. negative reactions. The in-situ experience of social media means that people aren’t always thinking before they post—and they can be greatly penalized for that or end up inspiring the wrong kind of action. 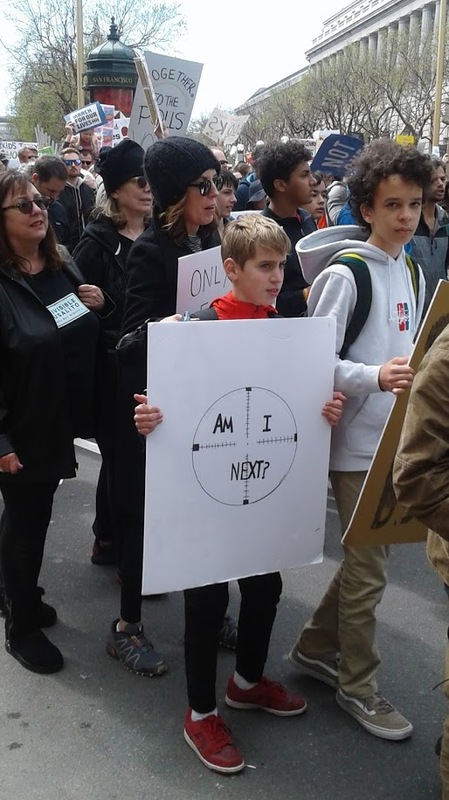 Briefly tracing the early, rapid growth of #MarchForOurLives provides a strong reminder that specific social media platforms do not operate in a vacuum; they are part of an overall combination of traditional and relatively new media formats available to those who want to take the small- and large-scale steps that can lead to changing the world. #MarchForOurLives at least in part grew rapidly because those Snapchat images inspired action in a variety of ways: through mainstream and cable news programs; postings on other social media platforms including Facebook, Twitter, Flickr, Instagram, and YouTube; fundraising efforts coordinated by the nonprofit March for Our Lives Action Fund and others; and the personalization of the story through Parkland student-activists including Emma Gonzalez and David Hogg. In fact, it is the personalization of that message through the voices of Gonzalez, Hogg, and others that draw us and inspire us to action through the power of storytelling—through Snapchat, Twitter, Facebook, YouTube, and book-length explorations that bring these stories to people who might otherwise be overwhelmed and be unable to see that the road from observer to activist can be traveled in many different ways and in relatively short periods of time. Hogg and his sister Lauren appear to understand this implicitly: less than six months after the shooting in Parkland, they were able to publish #NeverAgain, a call to action published by Random House Trade Paperbacks. N.B. — Paul is currently writing Change the World Using Social Media, scheduled for publication by Rowman & Littlefield in Winter/Spring 2019. This is the twelfth in a continuing series of excerpts from and interviews for the manuscript in progress. You are currently browsing the archives for the change the world using social media category.